Arizona -(Ammoland.com)- The Supreme Court of Illinois has ruled that a state ban on carrying guns within a 1,000 feet of a park is obviously unconstitutional. It is unconstitutional because it “directly implicates the core right of self-defense”. Yesterday the Illinois Supreme Court unanimously ruled that a state ban on carrying guns within 1,000 feet of a public park violates the constitutional right to bear arms. The decision in People v. Chairez extends the logic of prior rulings by the same court and by the U.S. Court of Appeals for the 7th Circuit holding that Second Amendment rights exist outside the home and cannot be categorically restricted without a strong justification. We believe the State defines the core right protected by the second amendment too narrowly. According to this court’s holding in Aguilar, neither Heller nor McDonald expressly limited the second amendment protections to the home. Aguilar, 2013 IL 112116, ¶¶ 18-20. To the contrary, both Heller and McDonald at least strongly suggest that the second amendment right to keep and bear arms extends beyond the home. Id.¶ 20. Moreover, the State’s reliance on Skoien—which did not involve the core self-defense component of the right to bear arms—is misplaced. We find that the 1000-foot firearm restriction at issue more closely resembles the restrictions at issue in Ezell I, Ezell II, Moore, and Aguilar. In fact, the 1000-foot firearm restriction not only directly implicates the core right to self-defense, it does so more severely than the regulations at issue in the Ezell cases. That is so because section 24-1(a)(4), (c)(1.5) of the UUW statute prohibits the carriage of weapons in public for self-defense, thereby reaching the core of the second amendment. While in the Ezell cases, the laws only affected a right (maintain firearm proficiency) that was merely a “corollary” to the right to possess firearms for self-defense. Although the firearm restriction at issue is not a comprehensive statewide ban, like in Moore or Aguilar, the restriction is not minimal. The firearm restriction not only covers a vast number of public areas across the state, it encompasses areas this court held in Mosley to be areas where an individual enjoys second amendment protection, i.e., public ways. See Mosley, 2015 IL 115872, ¶25. As to the second variable on the sliding scale, the severity of the law’s burden on the right, the law at issue affects the gun rights of the entire law-abiding population of Illinois like the laws in Moore, Ezell, Aguilar, and Mosley. As in those cases, the law functions as a categorical prohibition without providing an exception for law-abiding individuals. It is therefore a severe burden on the recognized second amendment right of self-defense. There are obvious implications for equally severe burdens placed on the exercise of Second Amendment rights by the bizarre “Gun Free School Zone Act”of 1996. That act bans the carry of guns within 1,000 feet of a school. The first federal ban on guns in and around schools was the Gun Free School Zone Act of 1990. It was held to be unconstitutional in U.S. v. Lopez in 1995. Janet Reno and Bill Clinton lobbied hard for superficial changes to the bill, and passed it again, in 1996. U.S. v. Lopez did not rule on the constitutionality of the act under the Second Amendment, but invalidated the bill because it did not involve interstate commerce, thus limiting federal authority. The Illinois Supreme Court is following, and building on, the precedent set at the 7th Circuit with Moore v. Madigan and the Illinois Supreme Court with People v. Aguilar. It is uncertain when we may see those arguments applied to the federal Gun Free School Zone Act, but I expect we will see them. The possibility of a rational ruling will be enhanced if President Trump appoints another strict constructionist and textualist, as he did with Justice Gorsuch. ©2018 by Dean Weingarten: Permission to share is granted when this notice is included. Dean Weingarten has been a peace officer, a military officer, was on the University of Wisconsin Pistol Team for four years, and was first certified to teach firearms safety in 1973. 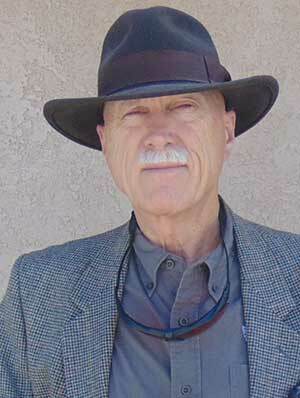 He taught the Arizona concealed carry course for fifteen years until the goal of constitutional carry was attained. He has degrees in meteorology and mining engineering, and recently retired from the Department of Defense after a 30 year career in Army Research, Development, Testing, and Evaluation. OH boy the the bad guys are going to be happy Oh wait they never follow the law any way, these kinda laws make the Democrats happy they done something? and the bad guys don’t care anyway. Another assault on our Constitution, damn russian influence again affecting our demoncrats. In Chicago, it’s illegal to carry within 1,000 feet of anything. I doubt that they’ll pay any attention to what Illinois SC has to say. MF: Cuz, we're the right minded ones.